Two new graphics have hit the shelves for the Bell Custom 500 Helmet, the signature open-face lid designed by founder, Roy Richter, in 1954. These helmets, which have been extremely popular since their release, now have two fresh graphics to update their classic style. 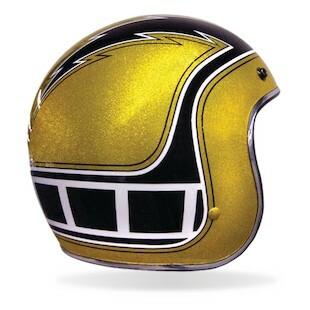 in gold/black/white with a lightning bolt pattern emblazoned across the top. Reminiscent of racing at the Bonneville Salt Flats, the Bell Custom 500 Skratch Bonneville Helmet is available only in matte black. 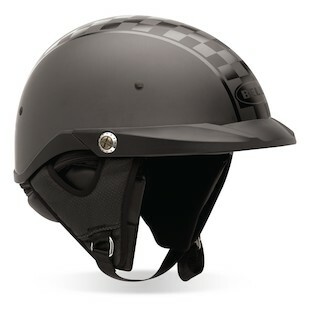 One of Bell Helmet's more popular half helmets, the Bell Drifter DLX, was redesigned in 2012 to improve fit, comfort and overall style. The new graphic, Bell Drifter DLX Black Ops, is available in matte black. 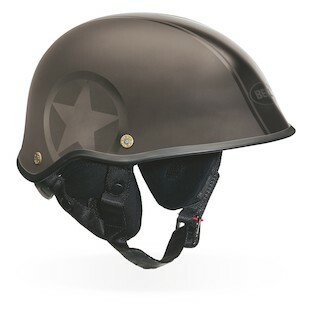 Newly introduced in 2012, the Pit Boss is an extremely light weight yet protective half helmet. The Bell Pit Boss Checkers Twin Tone helmet comes in matte black.